“We never invested so much in a fragrance [launch],” said Laurent Boillot, chairman and CEO Guerlain, about Mon Guerlain, released in March, with Angelina Jolie as the face/spokesperson. Bernard Arnault, chairman and chief executive officer; Antonio Belloni, group managing director; Nicolas Bazire, development and acquisitions; Chantal Gaemperle, human resources and synergies; Jean-Jacques Guiony, finance; Chris de Lapuente, Sephora and Beauty; Philippe Schause, duty-free stores. Perfumes and Cosmetics brands including Guerlain, Acqua de Parma, Parfums Christian Dior, Givenchy Parfums, Perfumes Loewe, Benefit Cosmetics, Make Up For Ever, Kenzo Parfums, Fresh, Maison Francis Kurkdjian. Even in a world with certain crippled economies, unfavorable exchange rates, and younger consumers who theoretically have less desire to spend on “things” rather than “experiences,” luxe apparently knows no limits. Luxury products group LVMH Moët Hennessy Louis Vuitton recorded across-the-board revenue of $39.6 billion in 2016, an increase of 5% over the previous year. Boosted by new fragrances and cosmetic line extensions, the Perfumes & Cosmetics division topped out at $5.2 billion. Revenue in the fourth quarter increased by 9% year on year. The company reported that the American market remains strong as does Europe. Asia, excluding Japan, continued its positive momentum. Key highlights from 2016 in the Perfumes & Cosmetics business group included good momentum at Parfums Christian Dior, driven by successful product innovations; and growth at Sephora, which strengthened its position in all its markets and in digital. The Perfumes & Cosmetics business group inaugurated a new atelier for the creation of fragrances; Les Fontaines Parfumées, at Grasse was called “a highlight of the year.” Parfums Christian Dior grew market share in all regions, driven by the global success of Sauvage and of its perfumes J’adore and Miss Dior. Sales of makeup also contributed to the brand’s excellent performance. Guerlain succeeded with its new makeup collection inspired by its fragrance La Petite Robe Noire. Benefit experienced strong growth driven by the success of its new collection for eyebrows. Make Up For Ever, Fresh and Kat Von D all performed well. In the Selective Retailing business group, Sephora gained market share across all regions and once again recorded double-digit growth in both revenue and profits. More than 100 doors were opened in 2016 including a flagship store in the World Trade Center in New York. 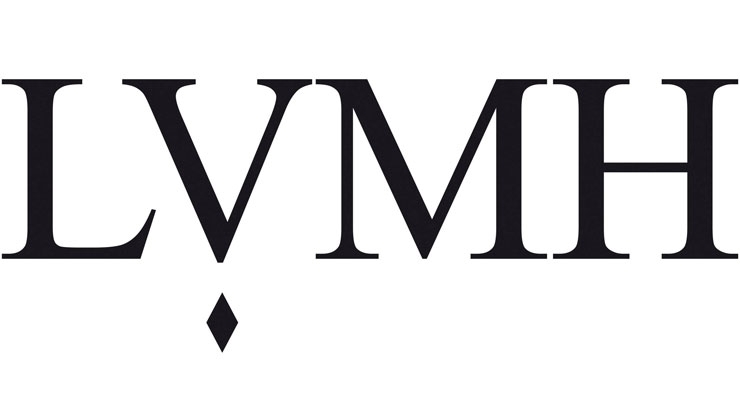 In the new year, LVMH continued its emphasis on fragrance, striking deals and naming influential global ambassadors. At the end of January, the House of Dior revealed Poison Girl EDT, described as “a bittersweet floral” composed by Dior perfumer-creator François Demachy. When it came to the packaging of Mon Guerlain, corporate executives dug into the brand’s archives and chose a streamlined flacon with a quadrilobe stopper dating from 1908. “It’s so modern because of the pure lines, the pure design,” said Boillot of the bottle, which has the name “Guerlain” appearing directly on it; there is no label. “We never invested so much in a fragrance [launch],” said Boillot, without providing numbers. Jolie is donating her salary for the Guerlain advertising campaign to charity. Fine tastes grew frenetically faster than ever in the first half of 2017, it seems, as the French luxury giant posted total revenues of $22.5 billion, an increase of 15%. All geographic areas continued to do well. During the period, LVMH acknowledged benefiting from a favorable comparison base, particularly in Asia but also in France, where activity was impacted last year by a decline in tourism. Success of the new products at Christian Dior and the continued strengthening of Sephora’s omni-channel strategy were credited with boosting the bottom line in Perfumes & Cosmetics, which reached $2.7 billion for the period. J’adore and Miss Dior, Sauvage, Mon Guerlain, Parfums Givenchy makeup and Benefit’s Brow Collection were of special note as first-half success stories.